Dr. Chet Lesniak is Core Faculty member in the Clinical Psychology Program and serve as the Coordinator of Regulatory and Licensing for the School of Psychology. His PhD is from New York University and MA degree is from the Graduate Faculty, New School for Social Research. He completed a joint internship at the NYU Medical Center Rusk Institute and Bellevue Hospital Medical Center. His post-doctoral experience included the inpatient and outpatient psychiatric units at Cape Cod Hospital. He has since been licensed in 7 states and is listed in the National Health Service Providers in Psychology. He has worked in medical settings, hospitals, nursing homes, clinics, schools, as well as in private and group clinics in both urban and rural settings. He consults in the area of psychological and neuropsychological assessments. He also also held numerous faculty appointments in undergraduate programs, as well as in graduate schools of psychology. Dr. Lesniak's professional interests reflect his education, training, and experience in academic psychology, as well as in the practice of psychology and neuropsychology. He is a second-generation student of Gestalt psychology, Rogerian therapy, Jungian theory, and mindfulness practice. His mentors were direct students of Carl Rogers, Carl Jung, Wolfgang Kohler, and Jon Kabat-Zinn. 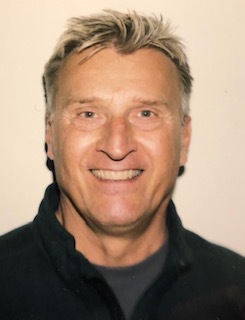 Dr. Lesniak's areas of research interest include Buddhist psychology, contemplative psychotherapy, neuropsychology, diversity, LGBTQA, and alternative forms of psychotherapy.